The Boüard family has been at the helm of this illustrious estate over eight generations, known for handling Cabernet Franc with an almost Burgundian approach and mastering its usage in the blends. The obsession to details of patriarch Hubert de Bouard that has even stretched to manual destemming, has made him a highly regarded and consulted figure in the industry. 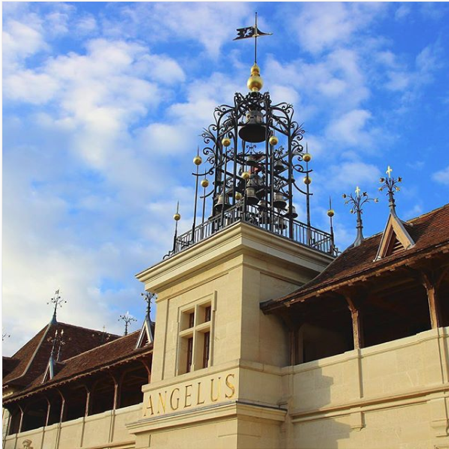 Let’s answer the call of l’Angelus across a vertical retrospective directed by Stéphanie de Boüard-Rivoal and discover the visionary approach of this iconic vineyard of Saint Emilion. The Boüard family has been at the helm of this illustrious estate over eight generations, known for handling Cabernet Franc with an almost Burgundian approach and mastering its usage in the blends. The obsession to details of patriarch Hubert de Bouard that has even stretched to manual destemming, has made him a highly regarded and consulted figure in the industry. Let’s answer the call of l’Angélus across a vertical retrospective directed by Stéphanie de Boüard-Rivoal and discover the visionary approach of this iconic vineyard of Saint-Emilion.